Electrophoresis is the motion of dispersed particles relative to a fluid under the influence of a spatially uniform electric field. Electrophoresis of positively charged particles (cations) is sometimes called cataphoresis, while electrophoresis of negatively charged particles (anions) is sometimes called anaphoresis. Electrophoresis Equipment provides an electrical charge to molecules, causing them to migrate against their oppositely charged electrode. 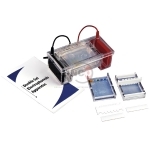 Electrophoresis Equipments is commonly used to separate proteins on the idea of size or a charge. The electrophoresis technique is found in all the analysis and clinical laboratories utilizing DNA and protein applications, and it is divided into the gel and capillary techniques. 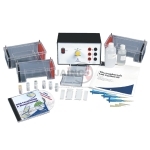 Jainco is the leading in Electrophoresis Equipments Suppliers, Electrophoresis Equipments Manufacturer, Electrophoresis Equipments, Electrophoresis Equipments Exporters in India, Electrophoresis Equipments Manufacturer in India, Electrophoresis, Electrophoresis Equipments in India, Electrophoresis Equipments Suppliers in India. Examine the genetic mutation responsible for sickle-cell anaemia. They'll search for changes in a non-human DNA sample to diagnose this hereditary blood disease. Run two gels simultaneously with the leak-free, the one-piece moulded chamber is constructed of durable, clear acrylic and has pure platinum electrodes for superior conductivity and longevity. 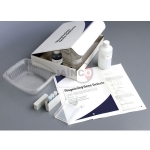 A complete system for introductory agarose gel electrophoresis studies. 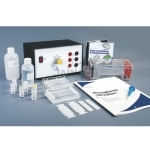 Now you can economically outfit your classroom with the latest in electrophoresis technology. Run up to four gels simultaneously. 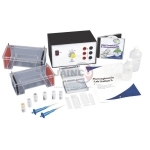 Affordably expand your classroom's electrophoresis capacity with twice the hardware and accessories included in Lab Station I. An affordable way to run up to six gels at one time. Economically outfit your lab with additional capacity - all at a low, bundled price.